An alternative name for the islands had developed by 1530 i.e., the Cayman Islands. This name stemmed from another inhabitant of the islands - - the sea-going crocodiles called “caimanas.” When English explorer and sea hawk, Sir Francis Drake, came to the islands in 1585, he too was impressed by the sea gong crocodiles and referred to the caimanas in his report about the islands thus giving added currency to the alternative name. There was no immediate effort to settle these islands. However, they were often by ships, which used the large turtle population as a source of meat. This eventually led to the near disappearance of turtles from the islands. The first people to settle on the islands were British. In the mid-Seventeenth Century, England was torn apart by a civil war that pitted the Royalists, who were loyal to the King, against the Roundheads, who supported Parliament. After the execution of King Charles I, Oliver Cromwell, the leader of the Parliamentary forces, became Lord Protector of England. In 1655, he dispatched an army to take Jamaica away from Spain. 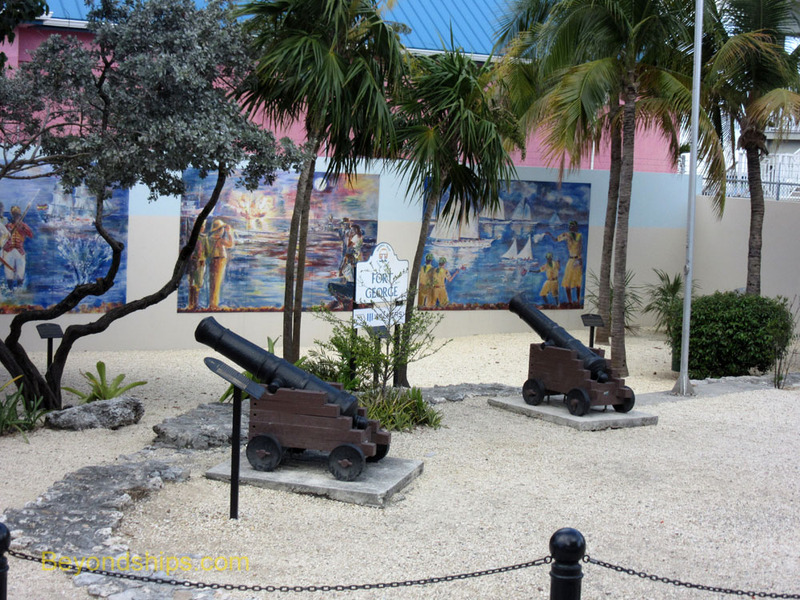 Some of his soldiers deserted and escaped to the Cayman Islands. not to have reached the same reached the same level of harsh and oppressive conditions as on some other Caribbean islands. Slavery was abolished in 1835. 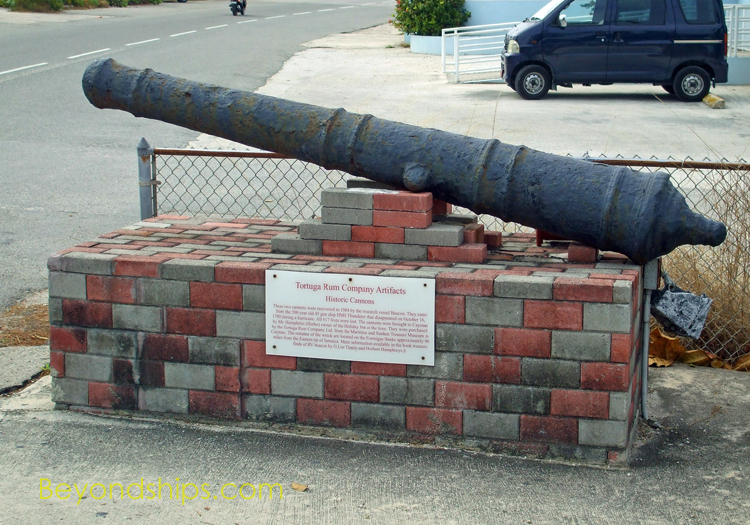 Above: An 18th century cannon recovered from a shipwreck. Below: The remains of Fort George in George Town. Another source of livelihood was the sea. In the early years, the islands were reportedly used as a base by pirates. Later, the islands became known for their fishermen. In addition, the shipwrecks that periodically occurred on the surrounding reefs were also a source of income. 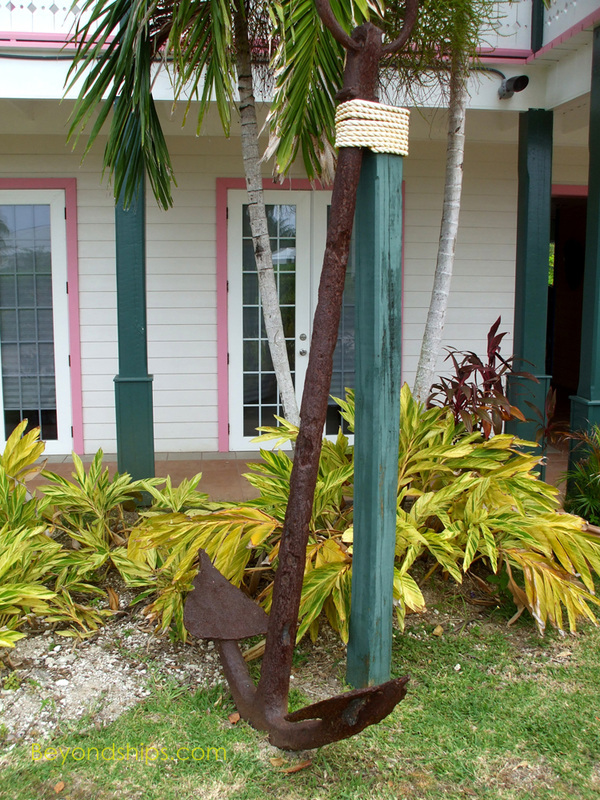 In 1794, ten ships wrecked on Grand Cayman in one storm.. The islanders acted quickly and rescued all of the crews and passengers. residents met at Pedro St. James Great House and decided that representatives from each of the islands’ five districts should be elected for the purpose of making local laws. The Legislative Assembly met for the first time later that year. In 1962, Jamaica became independent. Since the Cayman Islands had been historically administered as part of the Jamaica colony, the Cayman Islanders had to decide whether to become independent as well. They decided to continue under the Crown but with local self-government.